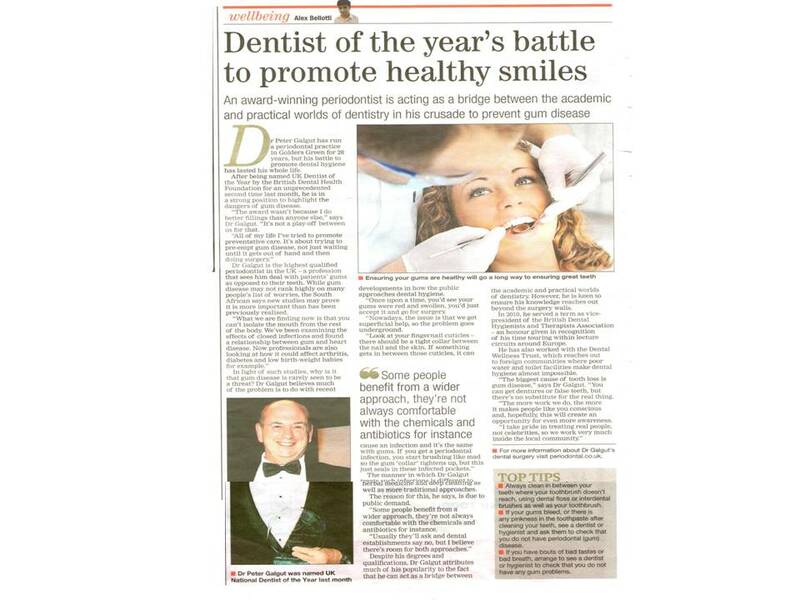 UK National Dentist of the Year 2013. GUM SPECIALIST Peter Galgut has a good reason to smile. 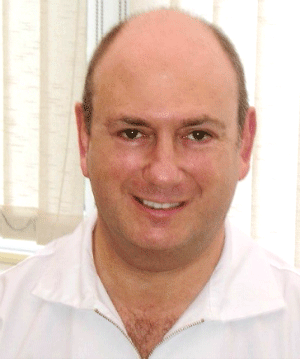 The periodontist has been appointed vice president of the British Dental Hygienists and Therapists Association in recognition of his contribution to preventive dental care. Dr. Galgut, 63, has spent more than 30 years specializing in periodontal conditions and promoting preventative care. He adds; “People may have nice-looking gums but there can be an infection burrowing away underneath.” Born in South Africa, Dr. Galgut moved to UK in 1973. He gained the Membership in Restorative Dentistry (MRD) and also the MFGDP of the Royal College of Surgeons of England. He was awarded an MPhil in acknowledgement of his research into biomaterials and wound healing. The senior vice president of Alyth Synagogue, he is the author of several books on subjects including periodontics, Judaism at home and humming your way to happiness. 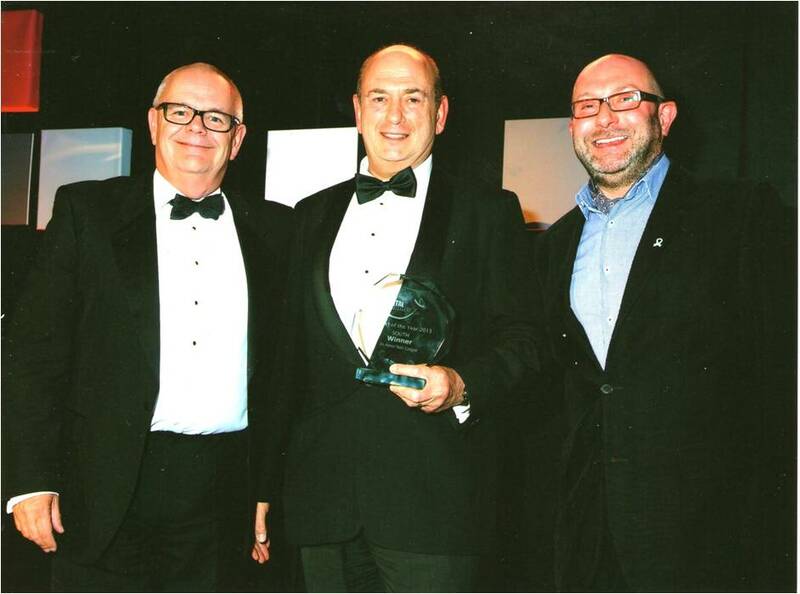 A DENTIST from Golders Green has scooped the top prize at a prestigious awards ceremony. 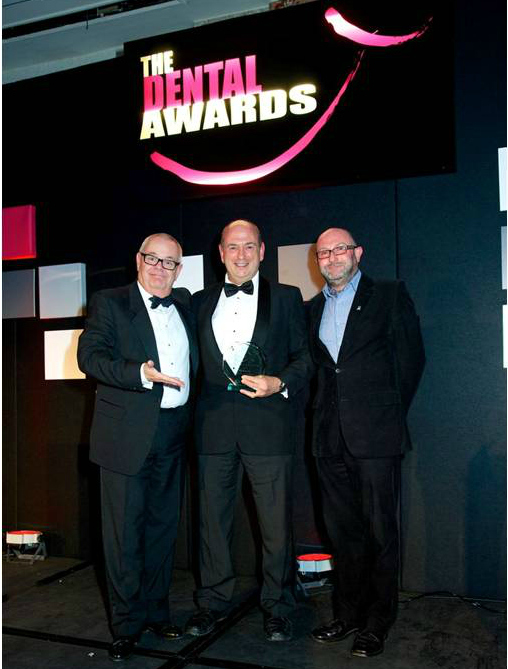 Gum specialist Dr Peter Galgut, whose surgery is the Lotus Clinic in Finchley Road, was named UK National Dentist of the year at the annual awards ceremony of the British Dental Health Foundation. A statement at the ceremony said the judges chose Dr Galgut because of his lifetime commitment to the profession both as a practicing clinician and an academic. 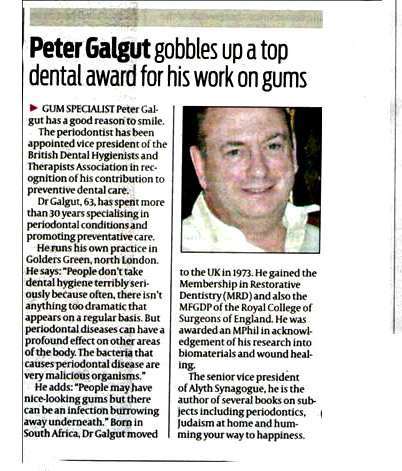 Dr Peter Galgut has run a periodontal practice in Golders Green for 28 years, but his battle to promote dental hygiene has lasted his whole life. After being named UK Dentist of the Year by the British Dental Health Foundation for an unprecedented second time last month, he is in a strong position to highlight the dangers of gum disease. 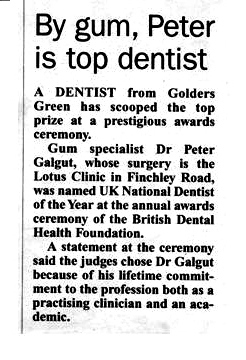 “The award wasn’t because I do better fillings than anyone else.” says Dr Galgut. “It’s not a play-off between us for that. Dr. Galgut is the highest qualified periodontist in the UK –a profession that sees him deal with patients’ gums as opposed to their teeth. While gum disease may not rank highly on many people’s list of worries, the South African says new studies may prove it is more important than has been previously realized. In light of such studies, why is it that gum disease is rarely seen to be a threat? Dr Galgut believes much of the problem is to do with recent developments in how the public approaches dental hygiene. The manner in which Dr Galgut treats such infections is different to herbal medicine and deep cleaning as well as more traditional approaches. The reason for this, he says, is due to public demand. “Some people benefit from a wider approach, they’re not always comfortable with the chemicals and antibiotics for instance. “Usually they’ll ask and dental establishments say no, but I believe there’s room for both approaches. Despite his degrees and qualifications, Dr Galgut attributes much of his popularity to the fact that he can act as a bridge between the academic and the practical worlds of dentistry. However, he is keen to ensure his knowledge reaches out beyond the surgery walls. In 2010, he served a term as vice president of the British Dental Hygienists and Therapists Association – an honor given in recognition of his time touring within lecture circuits around Europe. He has also worked with the Dental Wellness Trust, which reaches out to foreign communities where poor water and toilet facilities make dental hygiene almost impossible. “The biggest cause of tooth loss is gum disease,” says Dr Galgut. “You can get dentures or false teeth, but there’s no substitute for the real thing. “The more work we do, the more it makes people like you conscious and, hospitality; this will create an opportunity for even more awareness. If your gums bleed, or there is any pinkness in the toothpaste after cleaning your teeth, see a dentist or hygienist and ask them to check that you do not have periodontal (gum) disease. If you have bouts of bad taste or bad breath, arrange to see a dentist or hygienist to check that you do not have any gum problems.